Shag carpets were inspired by Flokati rugs the ancient Greeks used to adorn their tents and clothing in the cold winters of ancient Macedonia. Alexander the Great brought them with him as he swept across Egypt and Asia Minor. The long strands of sheep hair rose up from the skin and tightened when the skins were washed, creating a deep pile soft to walk on and more comfortable to sit on. In the 1960’s and 70’s, Hippies flocked to Greece for the sunshine and when they returned brought back the Flokati rugs they used in their tents and on the beaches. It was not long before college students took up the flokati for their dorms and off-campus apartments. Thus, shag rugs were born with its characteristic long hairs and “shaggy” look. It is no coincidence, we suppose, that the Age of Aquarius has returned. Astrologers maintain that the earth’s slow processional rotation through the heavens lasts, on average, for 2,160 years, returning us in time to Alexander the Great. 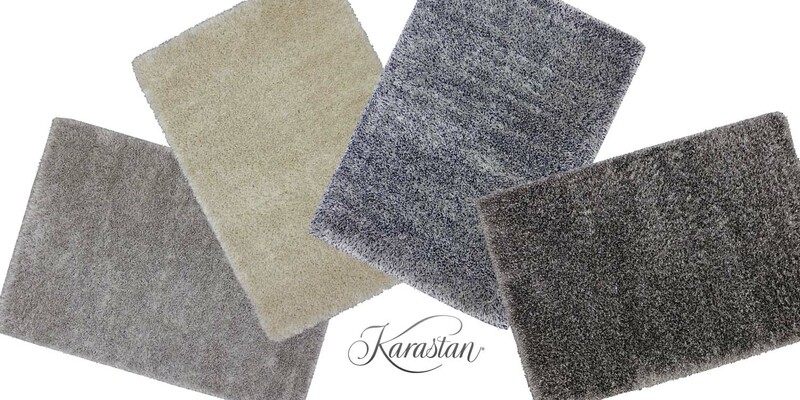 Karastan After 5 Shag rugs come in four sizes and colors.